Sorry for being so inconsistent with my posts. Some days I post twice because I have a lot to say (like today) and other times days go by of silence! I am working on getting into a groove since blogging is new to me, but I hope you still enjoy it. This weekend is a long weekend for me, woo! 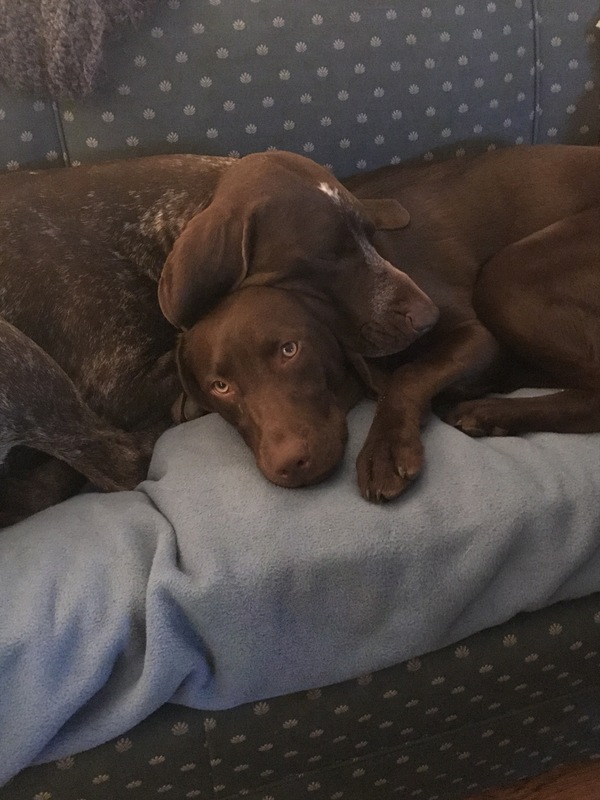 I took Friday off to travel up to Vermont to see my sister. I left Portsmouth around 8:30 and arrived around 11:45 in Burlington. My sister and I ate some lunch and then headed pick up our numbers and then to Boyden Valley Winery, which let me tell you is amazing. They have white wines, red wines, fruit wines, ciders, ice wines and creme liquor. For the tasting you can pick any seven to try. We were the only ones there so we got the royal treatment. They showed us some combos they do with fruit wines and ciders. AWESOME. 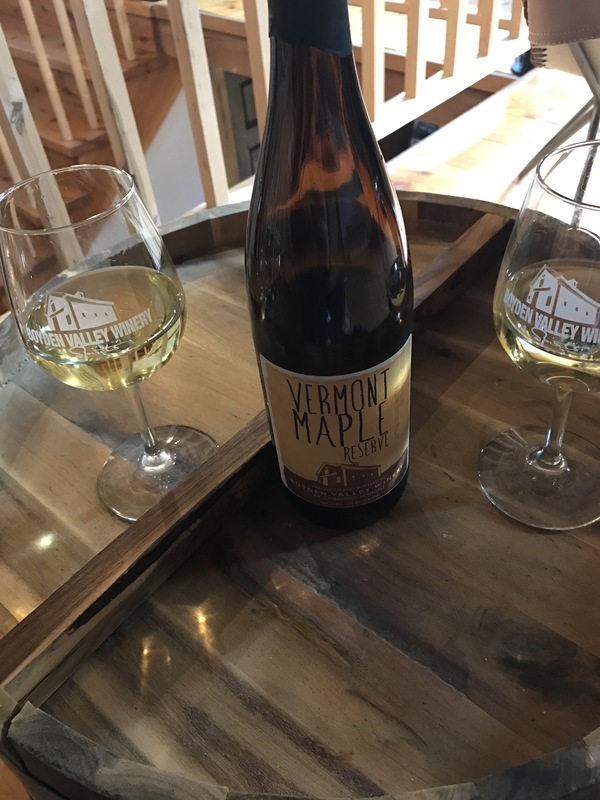 If you live in Vermont or travel to Vermont, go! All I have to say. My motto pre-race is always do whatever helps you relax. I do my best in races when I don’t think about it the day before. 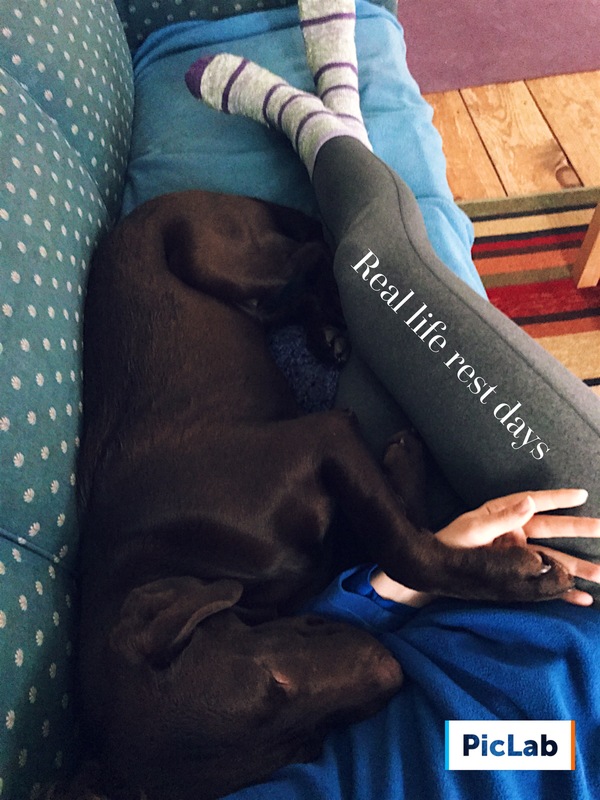 Sometimes I feel pressured to sit around in my sweatpants and think about my race strategy and drink tons of water and live and breathe running, but I found that doesn’t work for me, I get inside my head. I prefer to carry on as a normal day but a little less on my feet. Well actually a normal rest day for me consists of probably 200 steps total, so that’s nothing to worry about. Yesterday involved a little too much wine, but overall I had so much fun with my sister and her friend, it was 100% worth it! No regrets in that department, well once I chugged some water and ate some breakfast this morning, then the regrets subsided. Now to the race. It was SO cold at the start and windy! My sister and I left her apartment at 8 and ran down to the buses on Main Street. Luckily we got on the first bus so we arrived at the start at 8:30, just enough time to use the bathroom and huddle for warmth. We took a picture at the start, we are really happy despite the cold and wind. We hadn’t run together since a Thanksgiving race this past year! 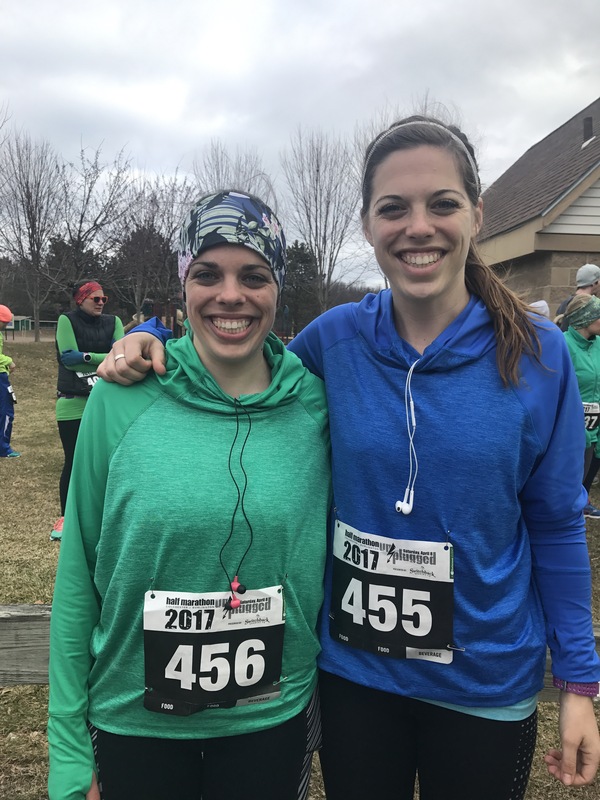 My sister is getting back into running now that she is in her last month of grad school, she is training for the Vermont Marathon in May (her first)!! 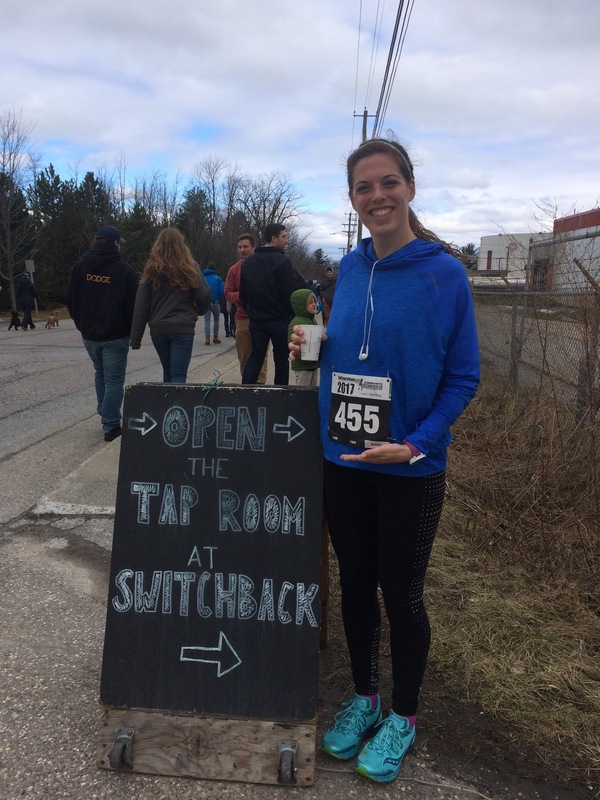 As a note this race has two waves, we were in the 9am, but there is also an 11am – each wave had around 900 runners. I decided my goal was to run the first half around 7:20-7:15 and then try to take it down to around 7’s. At 9am we went off with a bang! I wasn’t sure if I was going to race but whenever I get to the start I always just go, I can’t explain it. Today was also my first day racing with music, I used my sister’s running playlist on spotify and it was on point. Got me through some tough miles where I was running somewhat alone. The first 4 miles I found difficult in this race. You are running loops mainly in neighborhoods and the wind was a factor, so I really wanted to get to the bike path and felt like it was never going to happen. Once I got to the bike path around mile 5 the wind was easier and I picked up my pace a bit. Around mile 6-7 I started getting some odd stomach pains. I ate a piece of toast with peanut butter before this race, which I was nervous about because normally I have a lot of problems so I don’t eat before. This morning I was WAY too hungry, so that was not an option. I eased back a bit in those miles to make sure my stomach was okay. I honestly didn’t think it would be, but once I hit the halfway mark I told myself to just think about one mile at a time. Eventually I got to mile 8 and I knew I was going to finish the race, my stomach wouldn’t stop me. I could see a few other runners in the distance so I decided to slowly start catching them each mile, or at least make an attempt to. By doing this I settled more into a 7 minute pace which was what I wanted. The last three miles of the race were pretty windy though. We ran right along the water and the waves were crashing up and splashing the bike path, then the path turned and for a portion when straight into the wind! The last two miles were the hardest miles of the whole course because they went off of the bike path and back into neighborhoods. The wind was strong again and there were some hills so my fatigue started to get to me and I wanted to slow down. Eventually the neighborhoods ended, as they always do and I was back to the homestretch. As I was coming out of the neighborhoods I passed Megan going in, she was doing awesome!! After giving her a high five, I dug deep and tried to finish strong, crossing the ling in 1:34:54, a PR by over 4 minutes! My last half was 1:39 in the fall of 2016!! I felt like I was going to fall over after the finish and wondered to myself if there were any medical people on this course, because I didn’t see any! Luckily, I was okay, but my sister had the same thoughts. I went to the end of the home stretch and cheered as she came in at 1:44:34, a PR for her as well by over 3 minutes!! Overall, a successful twin day. We got food and Switchback beer and then did a slow painful jog back to her apartment. We weren’t sure we would make it, but we did. Overall, I loved this race. It was flat and fast and the bike path scenery was awesome. I can’t complain about the weather too much because I am just glad it wasn’t snowing or raining! 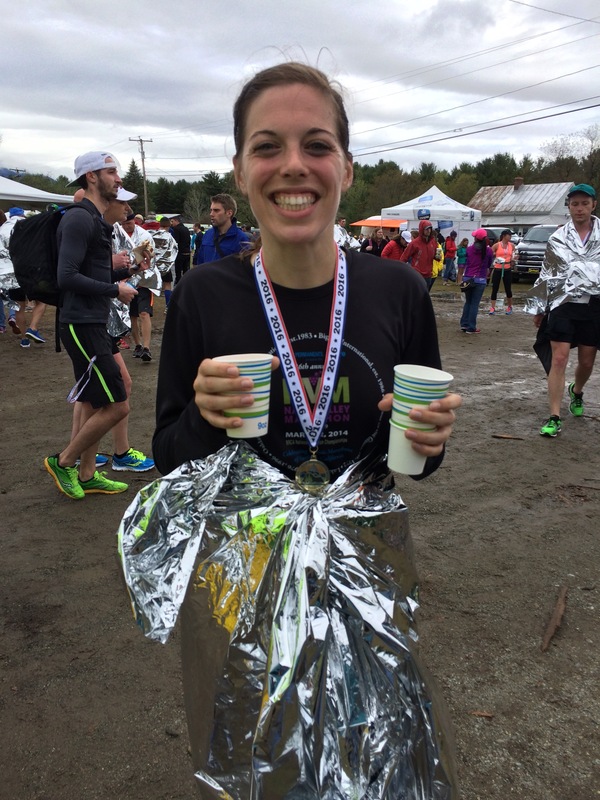 It is perfect as a training run for the Vermont City Marathon, which is the point. So although they don’t have medals or awards, it’s fun to go out and see where you are with your training. 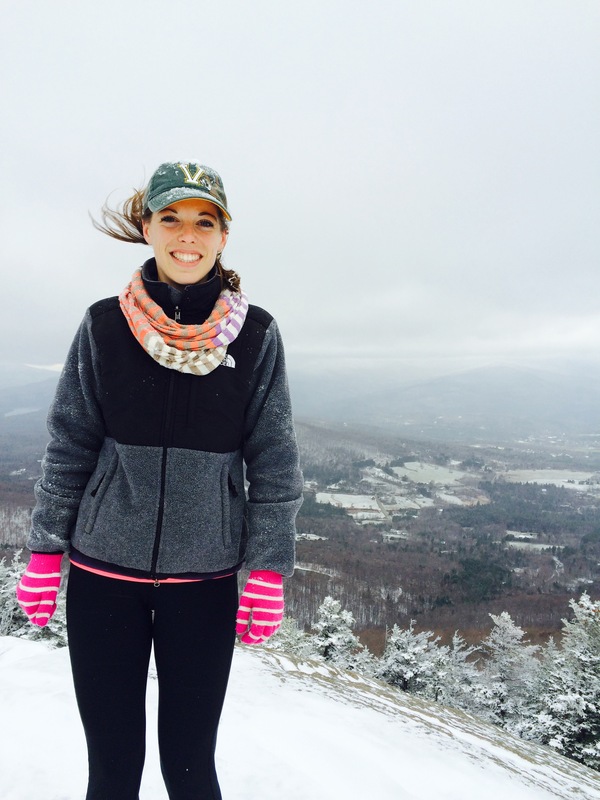 Until next time Vermont, which will be my sisters graduation and the marathon! This morning as I sit waiting to get dressed for my half marathon at 9am, I am thinking about my goals. 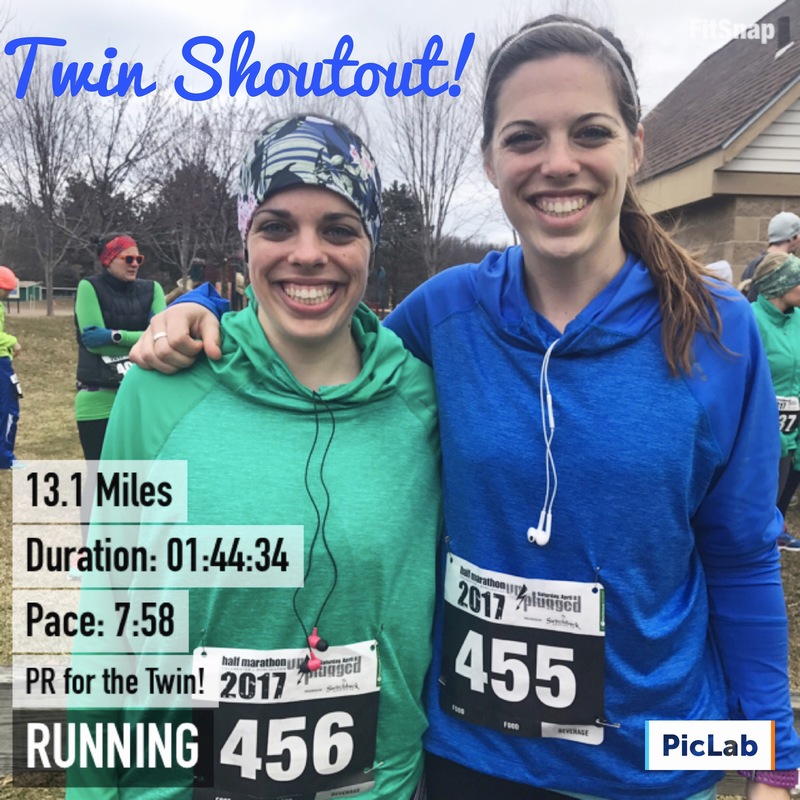 As I drove up to Vermont yesterday I listened to Ali on the run’s podcast with her husband and Lindsey hein’s newest podcast with Teal, both are super inspiring! If you need a pick me up or you want to start reflecting on your life, check them out. Anyway, they got me wondering if I am dreaming big enough. Do I have that ultimate goal that I want to achieve and what am I doing today to get there? I usually dismiss a lot of my big goals because I don’t see them as possible at least in the near term. Which is realistic, but why don’t I set smaller more achievable goals to get to my big goal? Why do I dismiss my big goals and hinder my potential success because of fear and doubt that I can get there? In running and in life, I may tell myself I am not qualified so I can’t, but what am I basing that off of? Shouldn’t I be my biggest supporter and not let anyone stand in the way of me trying? The key is trying. Here are some of my running goals, if I were to dream big and not put limits on myself. As you can see I am realistic, these goals clearly have a progression. My next attempt at the marathon in the fall I am going for a sub 3:15 marathon since I just ran a 3:20. This dream will take a lot of time and effort, but as long as I try and give my best shot and fully commit to the goal, if I never make it I will not be disappointed. I will be proud of myself for going all in and trying. I would have no regrets. If it gets me out of bed in the morning excited to work towards this goal, that is so big it consumes me, I can be happy with that. I know I won’t wake up tomorrow and run a 2:42 marathon, as awesome as that would be, I know the training isn’t there, yet! Here are some other big goals for me related to coaching. Get my coaching business started! I also have some goals for my daily 8-5 job but those aren’t as interesting to share here, so I kept the running focus on today. Running is my true passion. I do like what I do but running and coaching gets me excited to get out of bed in the morning and that translates into other parts of my life. What’s the thing in your life that makes you feel alive? What would you do for your career or with your life if nothing stood in your way? What makes you excited to get out of bed in the morning? Now that you thought of it, are you doing it? If not, why not? Now time to run! More time to think about this haha. Race recap will follow soon! I work with numbers every day. I like to think I am a numbers person. I studied math and stats in college, so hopefully I am! Anyway, I am the first one to tell you my Garmin is both the best and worst thing for my running. Let me explain. 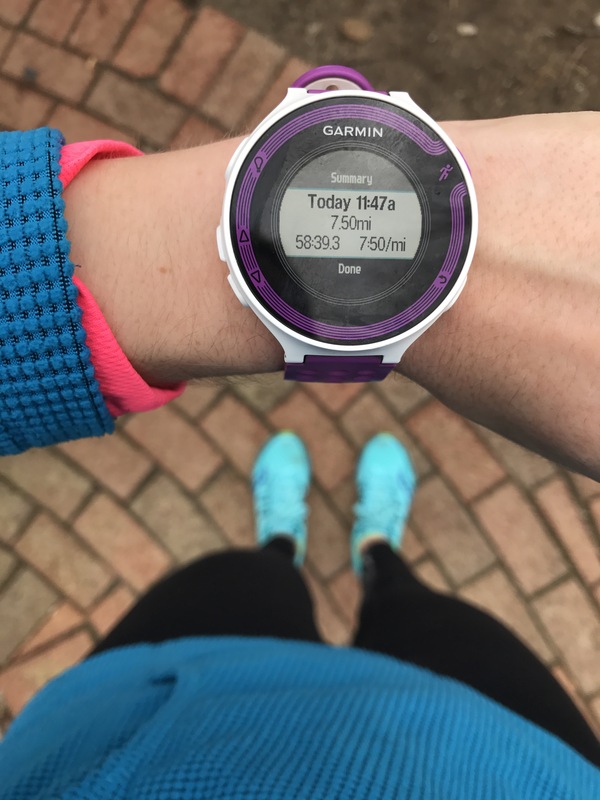 When I first got my Garmin I became obsessed with paces. I thought in order to get better I had to either sustain a better pace over longer periods of time or get faster in those shorter distances. Let me tell you, that does not work if it’s every run that you do this to yourself. Which is what I did, every run. When I toed the line at Sugarloaf the one thing I lacked, any sort of energy. I was overtired and overstrained. My body was done. It took me the whole summer to recover from that race and that training cycle. I had to fall in love with running again, which takes time, but that is a story for another day! Although I was tired and exhausted I still BQ’d at Sugarloaf. I owe that largely to the fact that I ran to raise money for a cause close to my heart, Lewy Body Dimentia. Thinking about the people I was running for, thinking about things bigger than myself that’s what got me over the line in 3:33. After coming so close to a Boston number, I reached out to a coach. When I saw her prescribed easy paces, it hit me, I was running way too fast before! I would try to hit 8 minute pace for every run, which is close to my easy pace but not close enough. I decided right there that I would run all my easy paces solely based on feel, regardless of the pace, it had to feel relaxed for me. From the start I trusted the process. Even when I saw instagram posts or other runners paces, I stayed focused on myself and my goals. Now all my easy runs I wear my watch but I don’t look at it until I am done running. The sole purpose is to determine how far I went. Let me tell you, it’s freeing. 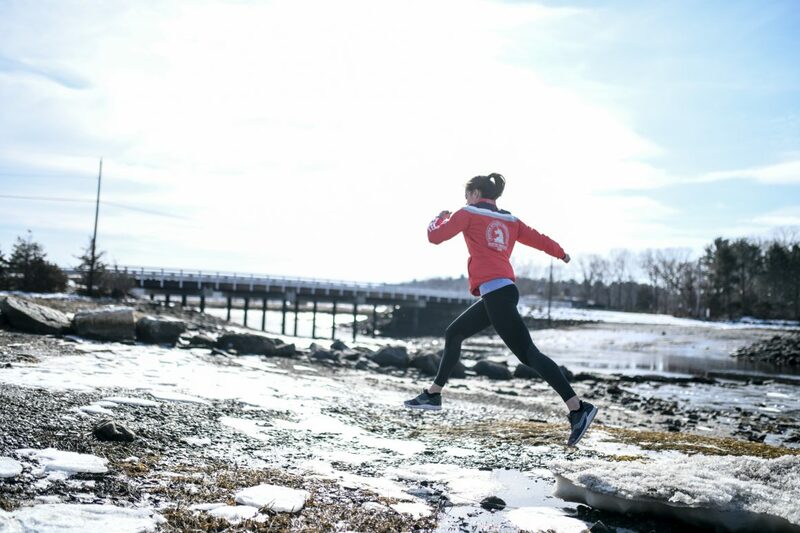 I believe I owe these easy runs for why I still enjoy and love running. I go out to enjoy myself and clear my head and that’s my only goal. If I run 8:30, awesome, 9:30 awesome, 10:00 great! Whatever my easy pace is for the day. That’s the other thing, how easy a certain pace feels depends on a lot of things and that is why I solely base my easy runs on feel. Some days a 9:30 pace can feel impossible, even if in races you run 7:0x pace. 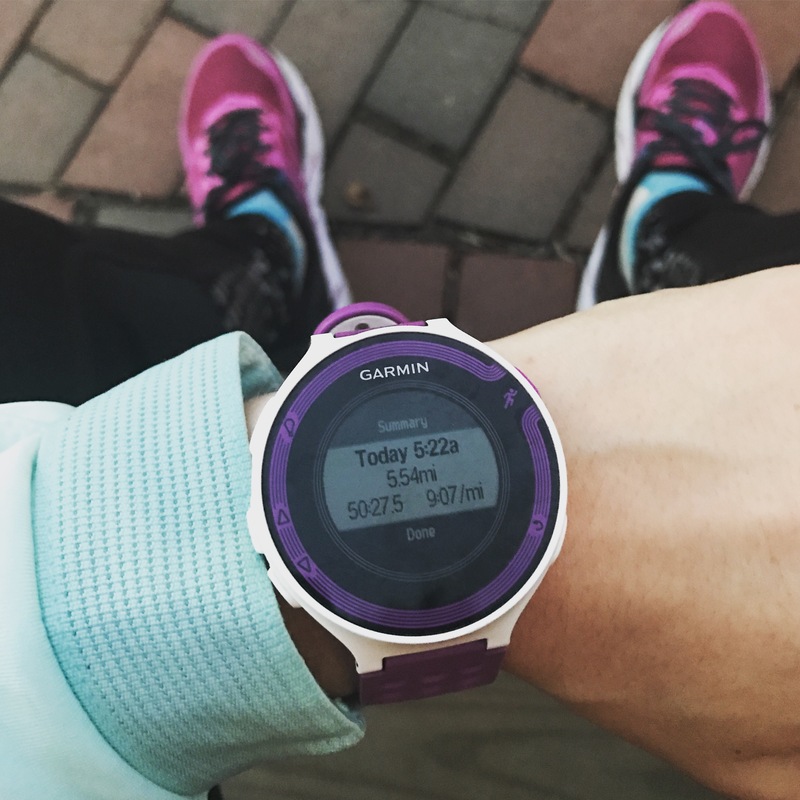 We all have those days and the point of an easy run is not to push yourself. 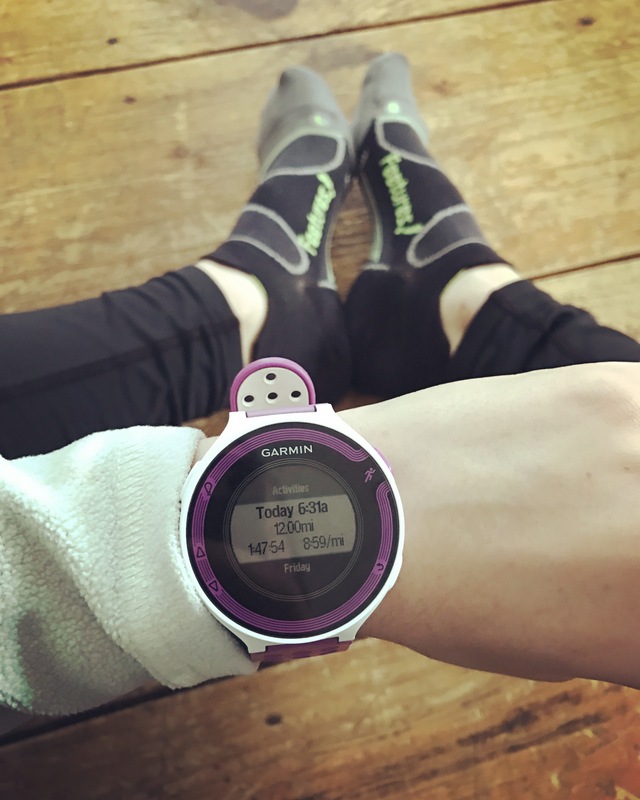 It’s to get the miles in and the benefits while preparing yourself for the hard days! That is all, happy Monday!!! This week was difficult. I have spring fever to say the least, but when there is still snow on the ground and the sun doesn’t come out, it effects my mood. The beginning of the week I was down and pretty mopey, but the sun came out Thursday and it reached 50 and I was a new person! Then Friday and Saturday it snowed…. where are you spring?! Anyway here was my week! 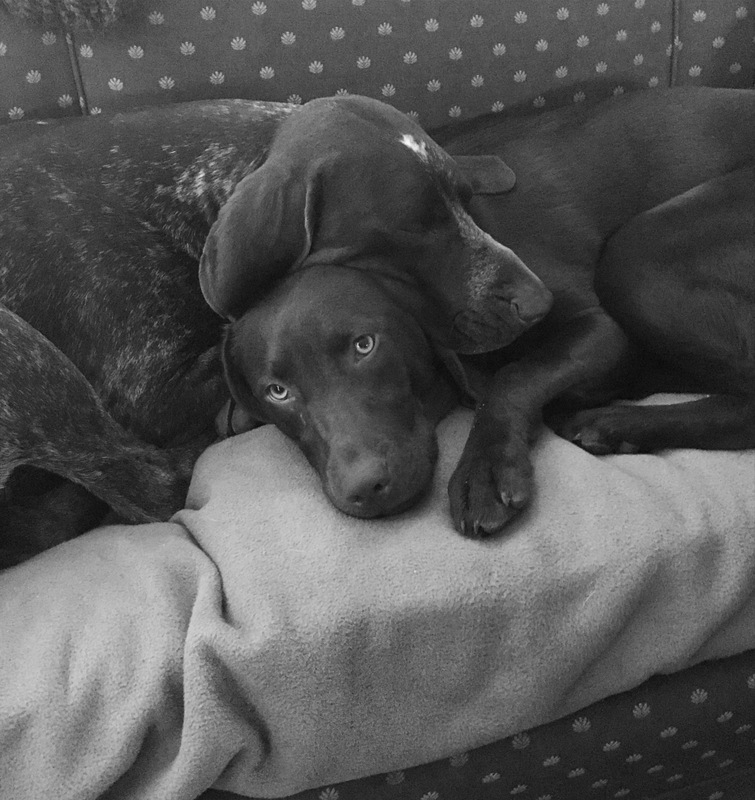 Monday: Rest and girls on the run. I literally wrote, “case of the mondays”. Tuesday: 5 miles with 5×15 sec hill sprints, 5 minute plank – alternating positions. Wednesday: 7.5 mile tempo. Planned 5 miles at 7:15-7:30, actual paces were 7:22, 7:19, 7:27, 7:33, 7:35. This workout felt impossible, it was hard to breath and my chest felt tight, I think I was dehydrated and overtired. Ended with a 3 minute plank and pidgeon pose. 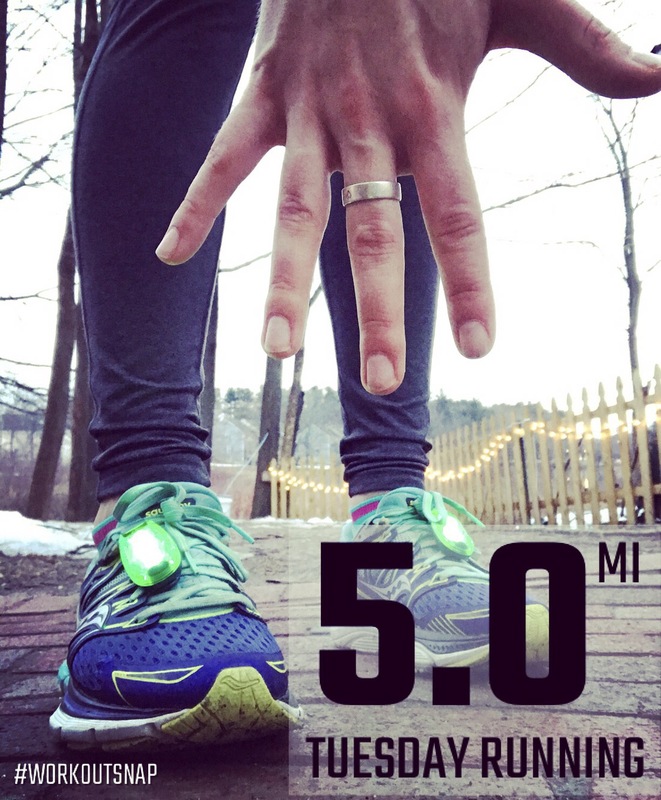 Thursday: 5.5 easy miles, 4 minute plank, bridges – still did not feel myself. 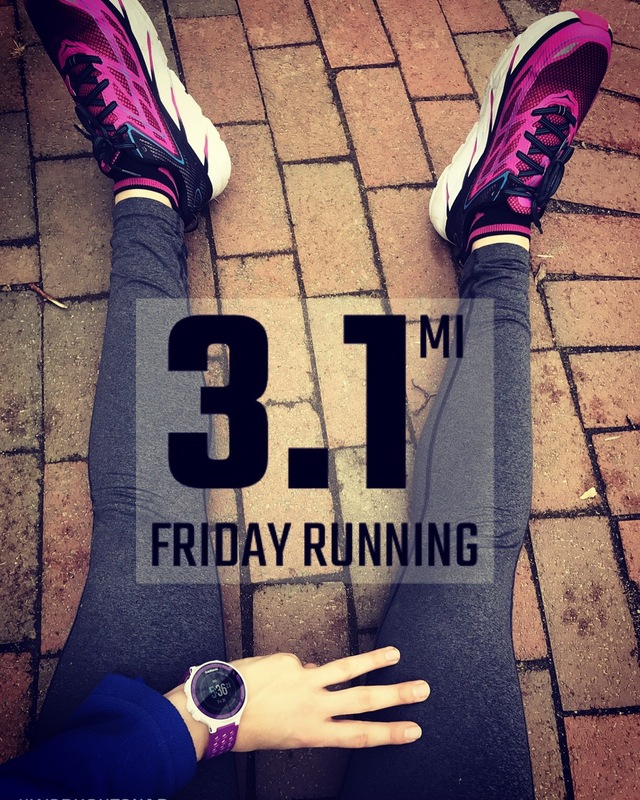 Friday: 3.1 easy before the snowstorm and strength routine. 1.5 mile walk with lyla. Saturday: Rest day, 25 minutes of easy yoga , 6 minutes of planks, walk with lyla. Sunday: 12 easy miles, foam roll, 5 minute plank, single leg deadlifts, pistol squats, lateral lunges, side lunges, squats! 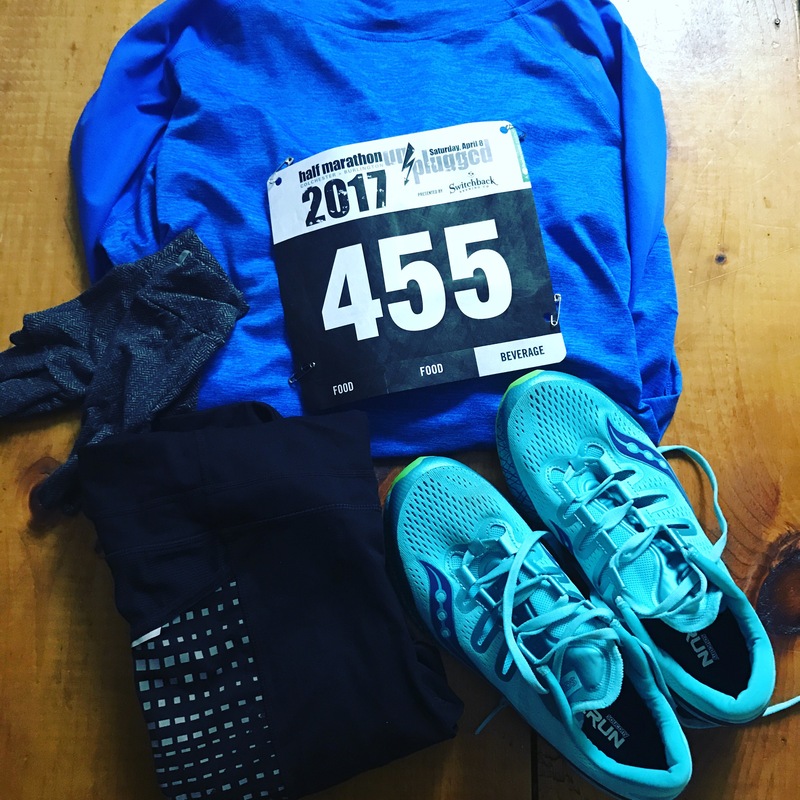 This week I am heading to Vermont for the Unplugged half marathon, so excited! Haven’t decided if I am racing yet because I haven’t felt myself, but we will see what this week holds. Either way it will be fun!! I love making goals on Saturdays. Some use Sunday’s to really plan for the week, but Saturday is my day! Today is perfect because it is snowy and gross out so I am just going to cuddle up with my pup and plan for success in all aspects of my life, running, work, social, everything. I have already walked my dog, shoveled, watched a documentary, started cooking some pesto chicken and started my laundry. How productive! 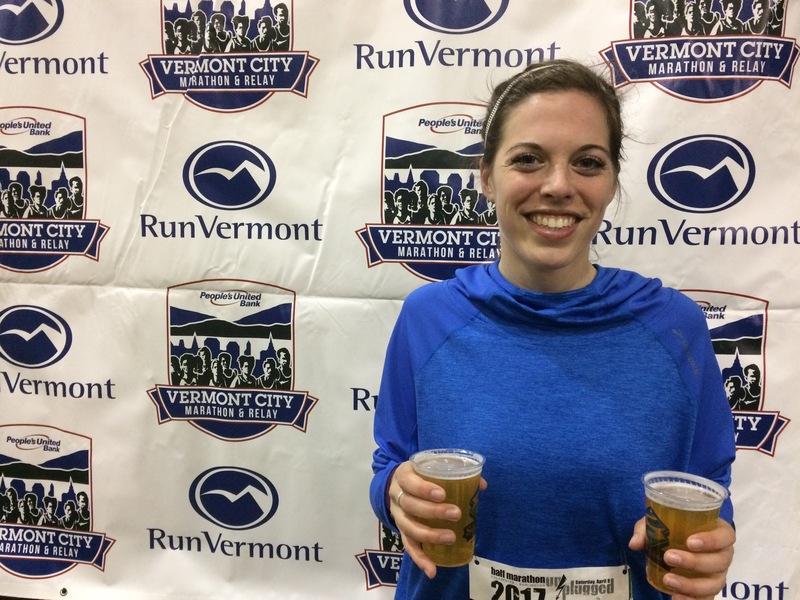 Anyway, this week is a three day week for me, And I am heading to Vermont on Friday to visit my sister and run the unplugged half! Meal planning: I have really fallen off the bandwagon with my eating habits ever since my marathon. I don’t really know why, but it happens to everyone. I am in the eat ice cream every night and plain white pasta for every meal phase. It happens to everyone, but this weekend I am going to plan out my meals in an attempt to get back on track. This morning I already made a delicious smoothie and I think I will make an omelette for lunch 🙂 I am currently on Pinterest looking up some of my favorite recipes, here are a few that I may bring back this week! 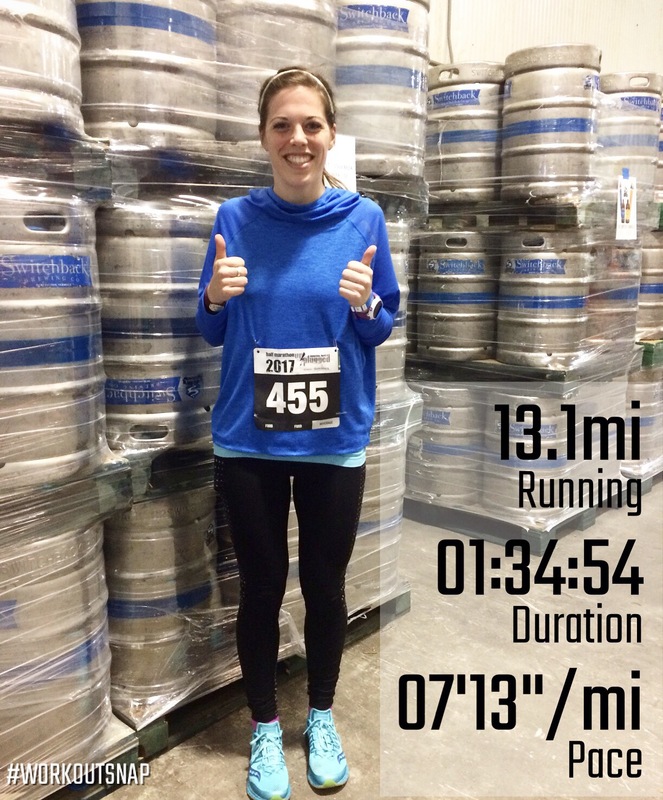 Running planning: A week from today I have my half marathon! I just eased back into around 30 miles a week since my marathon. 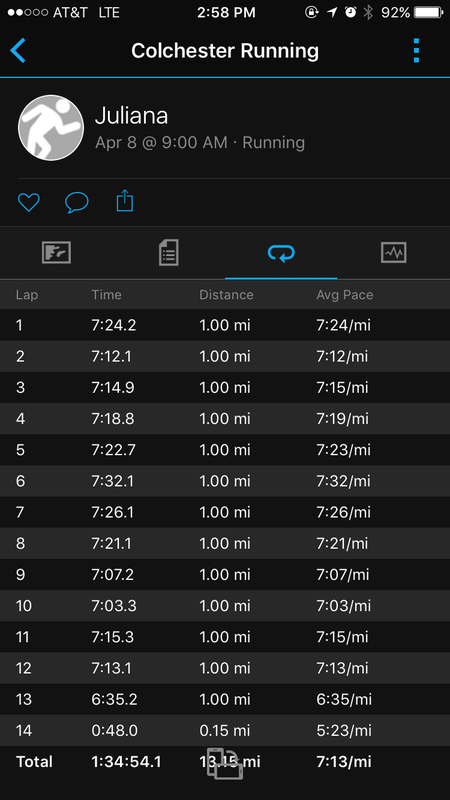 My tempo workout this week was a struggle so I am emphasizing the easy running lately. I have 12 on the calendar tomorrow, but I am hoping my march marathon will carry me to a PR. 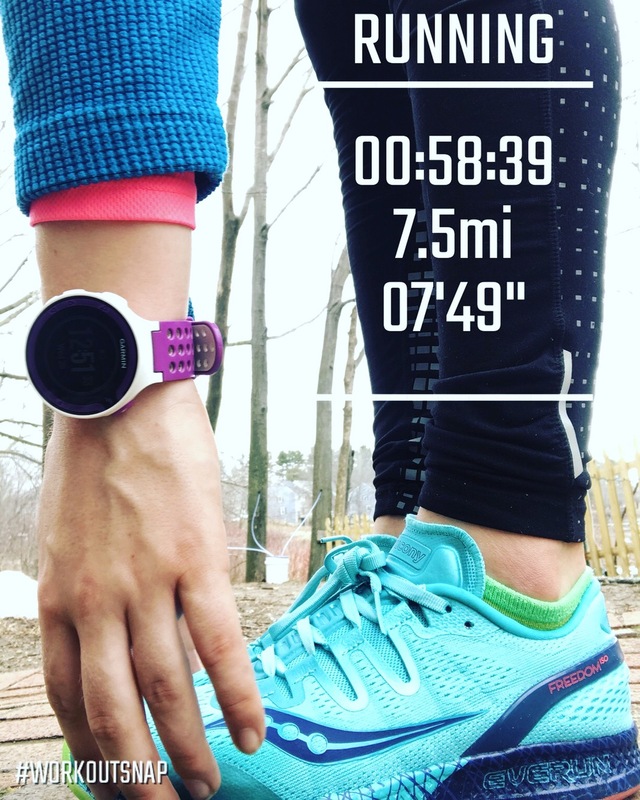 I am trusting my maathon trainkng, not necessarily my last four weeks of running because I did a slow ramp up after the race to prevent injury. My April goal is a half PR at some point, I have Unplugged this weekend and I have a local Portsmouth half on the 23rd, so fingers crossed. Work: This one isn’t very interesting, I just plan to be all caught up by Thursday for my day off. I also am working on my website for my coaching business, it’s definitely a work in progress! I am also looking forward to seeing beauty and the beast this week, wooo!